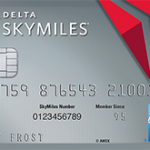 Discover has decided to increase the number of Bonus Miles it offers for new applications of its Miles Card. Starting June 1, 2006, new applicants will receive 12,000 miles after their first qualifying purchase, representing a significant increase from the 5,000 bonus miles previously offered. So, if you were planning to apply for this card, you should wait until next month to do so.